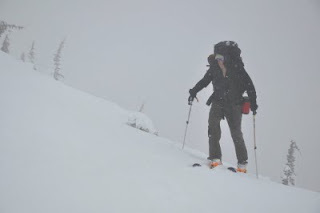 Last weekend Patrick and I headed into Glacier with hopes of ski traversing from West to East. Weather was looking great despite an iffy forecast. 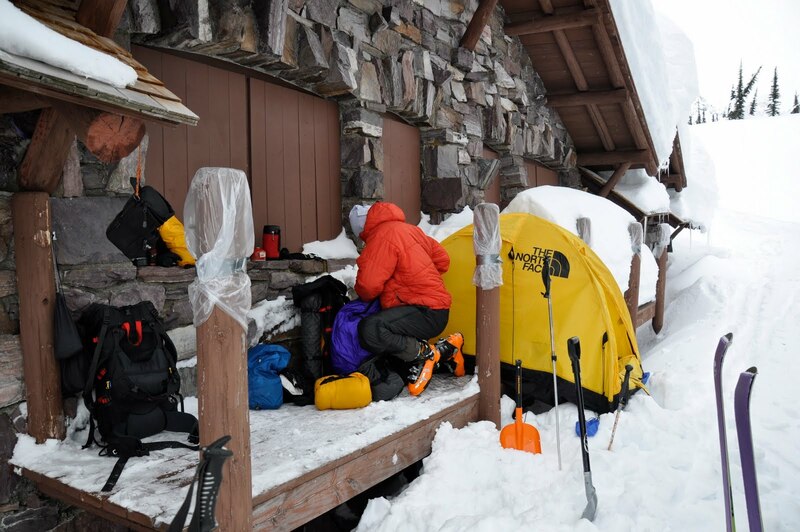 It took us about 4 hours to get to Sperry chalet where we set up camp on the second story deck. 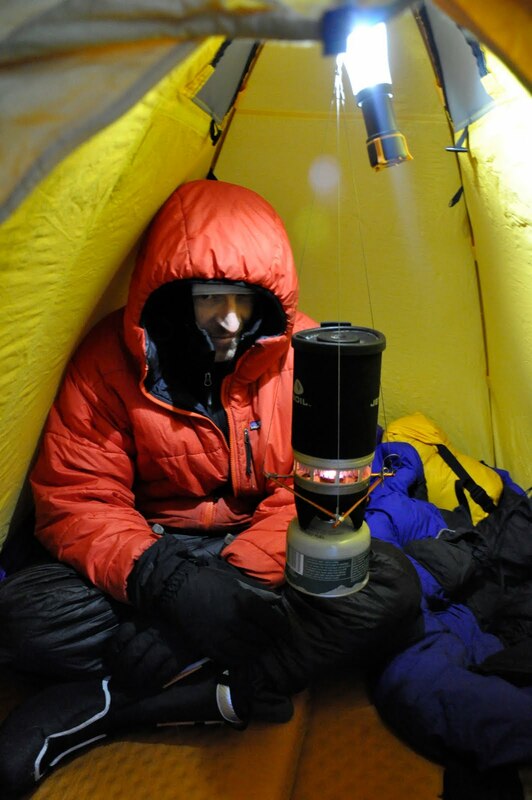 Weather appeared to be moving in so we crawled in the tent for the night. Temps were moderate and the camping was chill. In the morning we woke to low overcast skies. 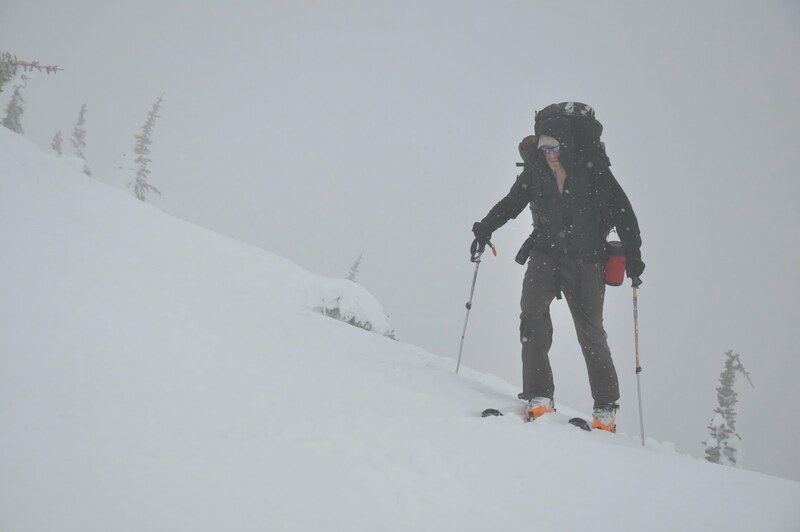 With poor visibility, we packed up and left for Lincoln Pass. It was a short distance away, but by the time we got there we were in white-out conditions. Conditions for snow travel were great, but we had no view of the incredible scenery we were surrounded by. Motivation plummeted and we decided to leave this trip for another time when the weather was better. The ski out was uneventful and we were back at the car in a short while. Another trip cursed by bad weather. Oh well, just have to keep trying. Soon the skies will open up.